INDIANAPOLIS, Ind. -– The Indiana Department of Revenue has issued tips for Hoosiers who have waited until the final days of the tax season to tackle completing their returns. 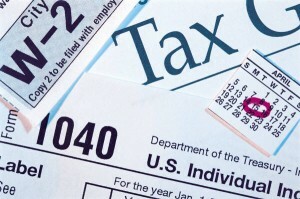 The deadline for filing Indiana tax returns and Federal tax returns is Monday, April 18th, 2011. If you cannot pay your taxes due, consider this: Pay as much of the taxes due as possible by April 18, 2011. When the tax bill comes for the remainder of the amount due, which will include penalty and current interest, visit the revenue agency’s website at www.intaxpay.in.gov and set up a payment plan. The Indiana Department of Revenue also reminds taxpayers that the due date this year is April 18, 2011, and that postage rates will increase on April 17, 2011. Hoosiers with complicated tax concerns can contact the Indiana Department of Revenue at 317.232.2240 or visit any of their 12 district offices throughout the state. A list of those offices can be found at http://www.in.gov/dor/3390.htm The tax phone line and district offices are open Monday through Friday, 8 a.m. to 4:30 p.m.